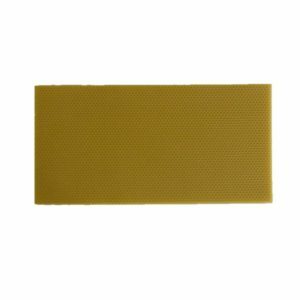 Beeswax foundation is the classic favourite for using in hives. Many beekeepers consider it to be the best for the bee. This is hardly surprising considering it is the bees own manufacture! Heavy (good for stronger honey such as manuka and to build up comb faster).